A. THE BUCKS CO operates a business as a booking service assisting its customers with event management for functions including, but not limited to bridal and bucks parties. B. THE BUCKS CO has agreed to appoint the Operator as a preferred Operator to THE BUCKS CO to supply the Operators Products and Services as detailed in New Operator Form. C. The Operator has authorised THE BUCKS CO to offer and promote its Operators Products and Services for the duration of this Agreement. D. The Operator acknowledges that this Agreement does not oblige THE BUCKS CO to promote its Operators Products and Services to any particular extent, or at all. E. The Operator agrees to pay commission to THE BUCKS CO in consideration for the opportunity to act as preferred provider and following resultant bookings in the Products and Services detailed in New Operator Form. "Operators Products and Services" means the provision of products and services by the Operator as detailed in New Operator Form. "Booking" means a reservation made to reserve the provision of the Operators Products and Services for a specified time. "Business Day" means any day other than a Saturday, Sunday or a statutory public holiday in Victoria, Australia. "Commencement Date" means the date specified as such in the Key Information and Terms. "Commission" has the meaning in clause 6. "Customer" means any individual, company, group or body whether incorporated or unincorporated for whom THE BUCKS CO arranges or facilitates a Booking. "Price" means the total price as detailed in New Operator Form, subject to change with 30 days written notice by the Operator to THE BUCKS CO, payable by the Customer to the Operator, including GST and before deducting THE BUCKS CO’s Remuneration. "GST" means in Australia, goods and services tax chargeable, or to which a person may be liable, under A New Tax System (Goods and Services Tax) Act 1999, and any penalties, additional tax or interest payable in respect of goods and services tax. "Guaranteed Operator Products and Services" means any guarantee provided by the Operator to THE BUCKS CO for Operator Products and Services and detailed in New Operator Form. In the event that the Operator Products and Services are overbooked, Commission will be payable to THE BUCKS CO and THE BUCKS CO Customer’s will be prioritised over any other customers. "Key Information and Terms " means the terms detailed in New Operator Form. "Losses" means all costs, losses, liabilities (including legal and other professional expenses on a full indemnity basis and GST and similar taxes), claims, demands, damages, fines, reparations and penalties including any consequential or indirect losses, economic losses or loss of profits. “New Operator Form” means the form completed by the Operator when registering to become a new operator. "Promotional Material"means, whether in printed or electronic form, any brochures, advertisements, website content or material, communications and marketing material of any nature used to promote the Operators Products and Services. "Representative" of a party means an employee, agent, affiliate, or contractor of that party. "Website" means any website or websites used by the Operator to promote the Operators Products and Services to actual and potential Customers, including the websites with the domain names stated in the Key Information and Terms. 2.1 Appointment: The Operator wishes to market, promote and sell its Operator Products and Services defined in New Operator Form to THE BUCKS CO Customers for the duration of the Term. 2.2 Status of relationship: Nothing in this agreement shall create or evidence any partnership, joint venture, trust or employer/employee relationship between the parties and a party may not make, or allow to be made, any representation that any such relationship exists between the parties. A party shall not have authority to act for, or to incur any obligation on behalf of, the other party, except as expressly provided for in this Agreement. 2.3 Non-exclusivity of Agreement: THE BUCKS CO and the Operator acknowledge and agree that this Agreement does not confer on the Operator an exclusive right to supply THE BUCKS CO with its Operator Products and Services. 2.4 No minimum value: THE BUCKS CO and the Operator acknowledge and agree that this agreement has no minimum value and that THE BUCKS CO acts as an agent performing functions as a booking service. 2.5 Term: This agreement shall commence on theCommencement Date and continue for 12 (twelve) months ( Initial Term). After the Initial Term, this agreement shall automatically extend for consecutive 12 (twelve) month periods, unless either party provides at least 1 (one) month written notice of its intention to terminate. 3.1 The BUCKS CO agrees to promote the Operator’s Products and Services to its customers. 3.2 The THE BUCKS CO, through its employees, agrees to promptly communicate proposed bookings to the Operator for confirmation by either telephone or e-mail. 4.1 The Operator shall provide each Customer with, or direct the Customer to its own Operator Terms and conditions. 4.2 If the Operator has represented to any Customer or THE BUCKS CO that a Booking of that Customer is guaranteed; or has been confirmed, the Booking is binding upon the Operator and the Product or Service must be provided, with THE BUCKS CO Customers being prioritised over any of the Operator’s existing customers. 4.3 Standard of Products and / or Services: THE BUCKS CO and the Operator acknowledge and agree that the Operator’s Product and/or Services are to be promoted by THE BUCKS CO as an extension of THE BUCKS CO’s services and the Operator warrants that it will ensure that its products and services are provided to the highest possible standards and quality, in accordance with relevant Australian law, and charge a price that is no more than reasonable having regard to market rates for similar products and or services. 4.4 Health and Safety: The Operator warrants that it is compliant with all current legislative requirements including but not limited to the relevant Work Health and Safety Acts and Regulations in the State in which this agreement is executed including any amendments, including, without limitation, reviewing and maintaining in force all necessary licences, consents and other documents and permits required for those purposes to comply with any applicable Health and Safety regulations. 4.5 The Operator undertakes to pay to THE BUCKS CO all commission and remuneration due in accordance with this agreement. 4.6 The Operator undertakes to provide THE BUCKS CO with at least 3 months notice in writing of any change in its products and/or services including its rates for the provision of same. 4.7 Sale of the Operator’s Business: If the Operator proposes to sell its business, the Operator must give THE BUCKS Co written notice of 30 days before the proposed settlement of the sale and upon such notice this Agreement will terminate and a new Agreement will be forwarded to the new owner’s for acceptance. 5.1 Publicity: Neither party shall make a public announcement or distribute any publicity about this agreement; or the other party; without the prior consent of the other party. 5.2 Own expense: Any promotion, marketing or sales by an Operator shall be conducted at the Operator's cost and the Operator shall bear the cost of any Promotional Material it produces. (a) The Operator agrees to promptly provide THE BUCKS Co with Marketing and Promotional Material of its products and/or services to on receipt of a request from THE BUCKS CO’s. (b) The Operator warrants that its Marketing and Promotional material is true and correct and not misleading or deceptive, and does not contain any material which is obscene, offensive or defamatory. (c) The Operator warrants that all intellectual property rights (including copyright) in the information are owned by the Operator, or alternatively, that the Operator is licensed to use the information in the manner described in this Agreement. (d) The Operator agrees to ensure that it regularly updates the information provided to THE BUCKS CO and keeps THE BUCKS CO regularly informed of any circumstances which a prospective customer would reasonably want to be aware of before acquiring its products and/or services. (a) The parties acknowledge and agree that they will jointly establish a marketing initiative (“marketing initiative”) with the aim of promoting their products and/or services and that the respective contributions of each party towards the marketing initiative will be governed by a separate agreement. 5.5 Operator’s Website: The Operator agrees that it shall not, without the prior written approval of THE BUCKS CO, publish or cause to be published on any website on which it purports to advertise THE BUCKS CO’s services or hold itself out as an Operator of THE BUCKS CO.
6.1 THE BUCKS CO shall be entitled to Commission and Remuneration as detailed in New Operator Form. 6.2 GST: All prices are to be quoted inclusive of GST for which the Operator is liable. 6.3 THE BUCKS CO may deduct from or set off against any amount that is payable by it to the Operator, in relation to this agreement, any amount that is or may become payable to it by the Operator in relation to this agreement or otherwise. 6.4 Where any payment owed by the Operator to THE BUCKS CO remains outstanding for more than 30 days, THE BUCKS CO reserves the right to a) apply interest at the General Interest Charge applied by the ATO (which is currently a rate of 9.15% per annum) to all tax invoices that are more than 14 days overdue; b) assign any debts payable to THE BUCKS CO to a third party without consultation with you. 6.6 THE BUCKS CO may change its payment process with one month written notice. (c) any other insurance cover that may be specific to the provision of the Operator’ Products and Services. 7.2 Proof of insurance: The Operator agrees to provide to THE BUCKS CO, upon commencement of this agreement, upon any change to insurance cover or upon request thereafter a certificate of insurance that the insurance it is required to maintain under this clause is in force. 7.3 Other insurance: The Operator shall ensure that its employees, contractors or agents have sufficient insurance for the products and services they perform in relation to this agreement. (a) The Operator agrees to indemnify THE BUCKS CO against all liability for representations, breach of either express or implied terms, warranties, guarantees, or conditions whether implied by statute, common law or custom of the trade or otherwise, including, but not limited to, implied warranties, guarantees or conditions of merchantability and fitness for a particular purpose. (b) THE parties agree that THE BUCKS CO’s liability to the Operator or any Operator Representative is limited to circumstances where THE BUCKS CO has breached an express provision of this agreement (including but not limited to negligence on the part of THE BUCKS CO or its employees). 8.2 No representations: The Operator acknowledges that it does not rely on any representation or statement made by or on behalf of THE BUCKS CO other than the express provisions of this agreement. 8.3 No liability for consequential losses, etc: The parties acknowledge and agree that THE BUCKS CO shall not be liable for any loss of profits or any consequential, indirect or special damage or loss of any kind whatsoever suffered by Operator or any Operators' Representative. 8.4 Limitation of liability: Notwithstanding anything else contained in this agreement, the liability of THE BUCKS CO to the Operator shall not in aggregate exceed the Commission for the Booking in respect of which the liability arises. (b) any liability or cost incurred by THE BUCKS CO as a result of any breach; or potential breach by the Operator or any of its Representatives of any provision of this agreement or the Operators Products and/or Services. 8.6 All liability on the part of either of the parties which comprise more than one person or entity will be joint and several. (a) Operator defaults in performance of its obligations under this agreement or under any other contract with THE BUCKS CO.
(c) Operator becomes insolvent or is adjudicated bankrupt or an application is made for its liquidation or a liquidator or receiver is appointed in respect of its assets. (d) Operator no longer carries on business or threatens to cease carrying on business. (e) A change of ownership or effective control of Operator occurs or the nature of Supply Partner’s business is materially altered. (f) Any other event which THE BUCKS CO considers may materially adversely affect the ability of Operator to perform any of its obligations under this agreement. 9.3 Termination for convenience: THE BUCKS CO may terminate this agreement for any reason at any time from the Commencement Date by giving the Operator no less than one month written notice. 9.4 Operator's rights upon termination: Upon expiry or termination of this agreement, except as a result of a breach of its terms by THE BUCKS CO, all the rights of the Operator under this agreement shall forthwith cease. The Operator shall not be entitled to make any claim against THE BUCKS CO for compensation or damages that do not relate to breach of this Agreement. The expiry or termination of this agreement shall not affect any provision of this Agreement which is intended to continue after such expiry or termination. (a) Pay all outstanding amounts owed to THE BUCKS CO.
(b) Deliver to THE BUCKS CO or destroy, as required by THE BUCKS CO, without retaining copies of them all confidential information including all know-how, customer lists, instruction materials, brochures, manuals, data bases and other information (whether in written or electronic form or otherwise) and material relating to the THE BUCKS CO Brands in the possession or control of the Operator and thereafter shall not use or exploit any such information or material supplied by THE BUCKS CO or acquired by the Operator in any way relating to THE BUCKS CO Brands. 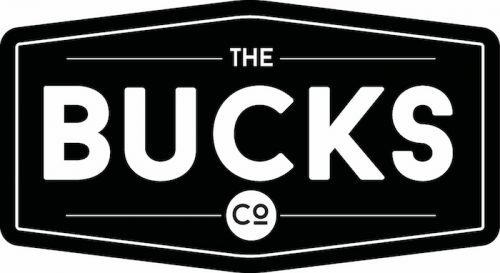 (c) Cease use of THE BUCKS CO Brands and not thereafter use any such THE BUCKS CO Brand confusingly similar to it. 10.1 Neither party will be liable for any act, omission, or failure to fulfil its obligations under this agreement if such act, omission or failure arises from any cause reasonably beyond its control, including acts of god, strikes, lockouts, riots, acts of war or terrorism, epidemics, governmental action, fire, telecommunications service failures, power failures, earthquakes, floods, slips or other disasters. Nothing in this clause shall excuse a party from any obligation to make a payment when due under this agreement. 10.2 Termination: If a party is excused from performance of this agreement under clause 9.1 for a period of two months or more from the giving of the notice either party may terminate this agreement immediately by notice to the other party. (a) one party may notify the other party in writing of the dispute with as much detail as possible. The senior business Representatives shall use good faith efforts to resolve the dispute within ten (10) Business Days after receipt of such a notice of dispute. 11.2 However nothing in clause 10.1 shall prevent a party from seeking urgent interlocutory relief from a court without first having to comply with this clause. 12.1 Entire Agreement: This agreement constitutes the entire agreement between the parties relating to its subject matter and supersedes and cancels any previous agreement, understanding or arrangement whether written or oral. 12.2 Severability: If any provision of this agreement is or becomes unenforceable, illegal or invalid for any reason it shall be deemed to be severed from this agreement without affecting the validity of the remainder of this agreement and shall not affect the enforceability, legality, validity or application of any other provision of this agreement. 12.3 Notice: Every notice to be given under, or in connection with, this agreement shall be given in writing by e-mail; personal delivery; or mailing by pre-paid post, and shall be deemed to be given four Business Days after (but exclusive of) the date of mailing to the addresses and contacts specified in New Operator Form of this Agreement or if a written notice of change of address is given then to the new address. Notwithstanding any other provision contained in this clause any notice given after 5pm, or on a day which is not a Business Day, shall be deemed to be given at 9am on the next Business Day. 12.4 Assignment: The Operator may not assign any of its rights or obligations under this agreement, or appoint sub-distributors, without the prior written consent of THE BUCKS CO.
12.5 Waiver: The rights, powers, exemptions and remedies of THE BUCKS CO shall remain in full force notwithstanding any neglect, forbearance or delay in their enforcement. THE BUCKS COshall not be deemed to have waived any provision of this agreement unless such waiver is in writing signed by THE BUCKS CO or an authorised officer of THE BUCKS CO. Any such waiver, unless the contrary is expressly stated, shall apply to, and operate only in, a particular transaction, dealing or matter. 12.6 Confidentiality: During and after the Term the Operator shall not use, exploit or disclose to any person any information supplied by THE BUCKS CO, or in any other way acquired by the Operator, relating to THE BUCKS COexcept to the extent that use or disclosure to its employees and the Operator may be necessary to perform its obligations under this agreement, or to the extent that such information is in the public domain otherwise than as a result of a breach by the Operator of the provisions of this clause. If the Operator discloses information to its employees and agents, it shall take all necessary steps to ensure that the confidentiality of the information disclosed is safeguarded. 12.7 Intellectual Property: All intellectual property which is owned by, or is proprietary to, a party at the date of this agreement shall remain owned exclusively by that party. Any intellectual property which is created as a result of, or in connection with this agreement, shall be jointly owned. Nothing in this agreement confers on a party any right or interest in, or licence to use, or permit to be used, any of the other party's intellectual property except that both parties shall provide non-exclusive licence to use the other parties intellectual property to the extent required to give effect to this agreement. That licence will expire immediately on termination of this agreement. Intellectual property rights include all industrial and intellectual property rights of any kind including but not limited to copyright, rights in business names, trademarks, designs, patents and company names, logos and any right to registration of any such rights, whether created before or after the Commencement Date. 12.8 Errors or omissions: Clerical errors or omissions, whether in compilation or otherwise in any Booking, invoice price or othersuch documentation, shall be subject to correction by THE BUCKS CO .
12.9 Personal Information: The parties will take all reasonable steps to ensure that personal information of Customers is protected against misuse and loss, from unauthorised access, modification or disclosure. 12.10 Variations: No variation or amendment to this agreement will be effective unless in writing and signed by the duly authorised Representatives of the parties. 12.11 Governing law This Agreement is governed by the laws of Victoria and the Commonwealth of Australia. Each party irrevocably and unconditionally submits to the exclusive jurisdiction of the courts operating in Victoria.